About two weeks ago my third son arrived .A young brother to my beloved daughters Shoshan and Nuphar; and though we happened to “follow” the long forgotten Hobbit tradition of giving our daughters names of flowers (Shoshan is Hebrew for Lily and Nuphar is a Water Lily), we named our son Yair (pronounced Ya-EE-r), which means will bring light. For this occasion and I’ve decided to create a special version of my “Journey of Life” pendant, as an antique style brass key-chain. It will be sent as a free gift for orders above $400 but also be available in special price for orders below $400. 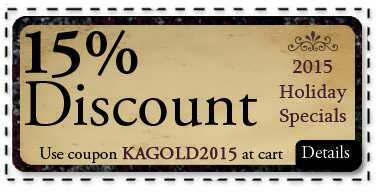 But before that I would like to update you regarding our 15% discount coupon for the holidays - Now is the best time to order your gifts in order to make sure you get it on time. The Journey of Life is a symbol of inner strength, dealing with the illusions of this world and finding our way home. I find this small object to be a powerful reminder of the most important thing in our life, our family and home, making an “urban” Odysseus out of ourselves. The design itself is a combination of different cultures, different styles, different eras all encapsulating the essence of the human voyage. 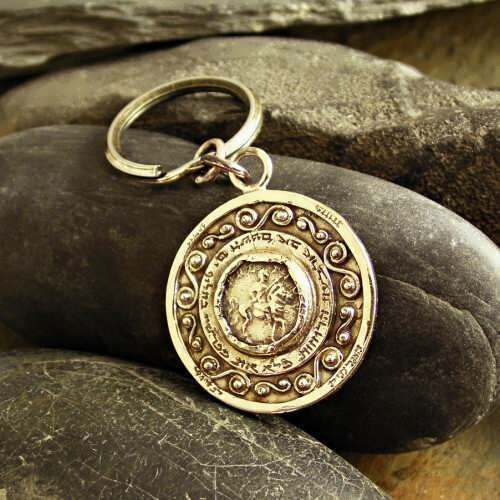 At the center there is a replica I've made of the ancient Roman coin from my private collection. The writing around it is in Hebrew and I actually took it from Led Zeppelin's "Kashmir". It says: “Father of the four winds, fill my sails across the sea of years". The meaning of the four words in Hebrew on the outer frame is " The further one travels the less one knows" taken from the Tao te Ching. There are different meanings and layers in this piece. Our protagonist - the Roman soldier building empires that eventually crumble down through the sea of years, therefore seeking refuge from the delusions of this world-hence the prayer surrounding the glyph. The Hebrew letters/fonts were taken from the Dead Sea Scrolls that were written by the Essenes during the times of the second temple in Jerusalem, and were actually destroyed by the Roman empire. It is a symbol of the false human perception of the “us and them”, and the false dualistic perception. Over the course of time we change roles as friends and foes, but beyond this illusion there is only Oneness and unity. The four words on the outer frame are the final lesson that each of us can take. It says “The further one travels the less one knows” taken from the Tao Te Ching, probably the best book ever written. 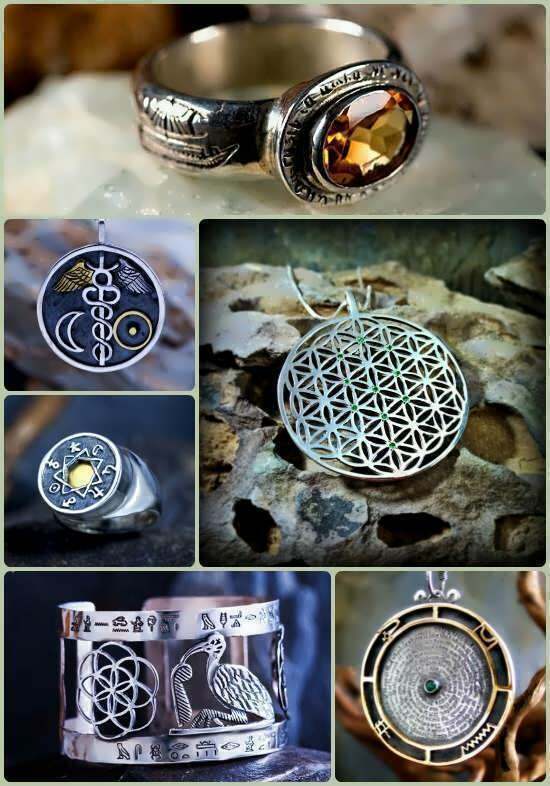 This entire concept is meant to lead the wearer of the pendant to the realization that this entire world is his inner interpretation and that his source of knowledge and strength is always within him. This project was first started three years ago and we feel it is a great way to give others. 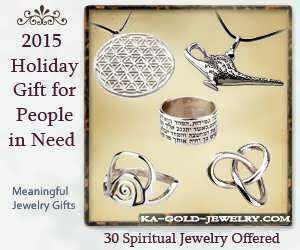 We offers 30 items for people in need who cannot afford our jewelry. 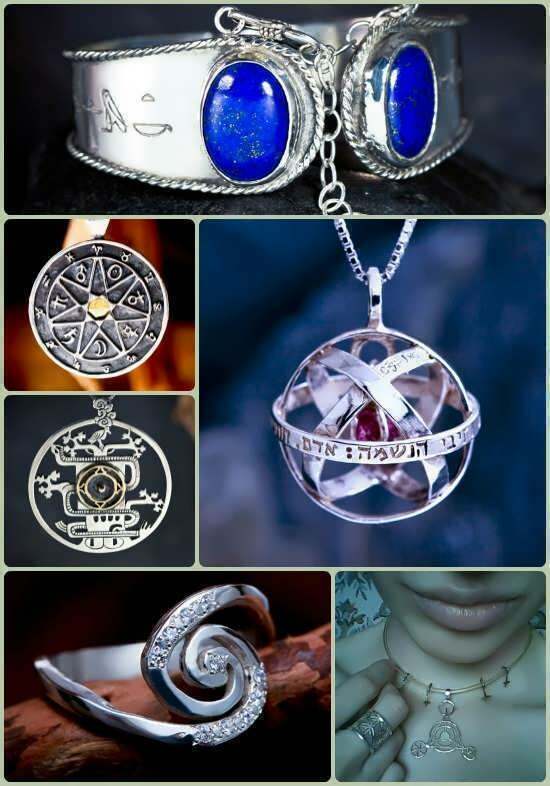 If you or someone you know is in need for an inspiring symbol or a powerful reminder that will help you to gain strength hope and courage but cannot afford buying one of our items we invite you to visit this project's page and fill the request form.